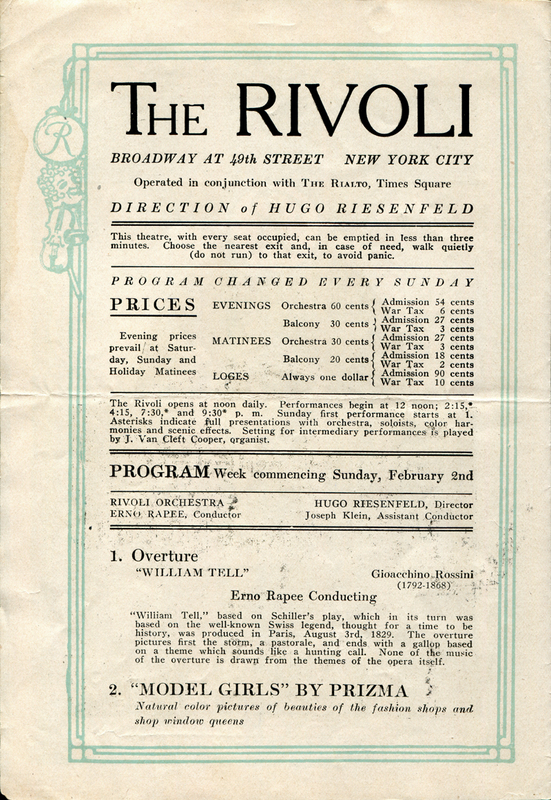 SCVHistory.com | William S. Hart | Rivoli Theatre Program: Broadway Premiere of 'Breed of Men' 2-2-1919. 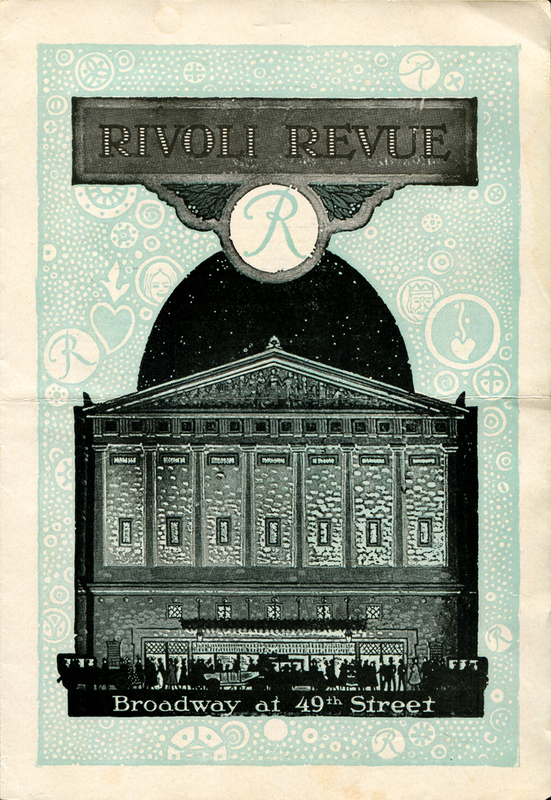 Rivoli Theatre program for the Broadway premiere of "Breed of Men," February 2, 1919. 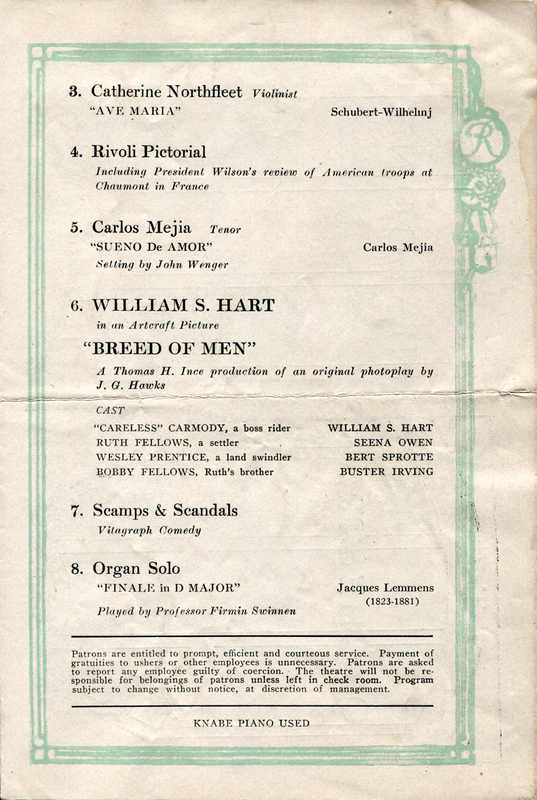 An Artcraft picture, "Breed of Men" was produced by its star, William S. Hart, and distributed by Thomas H. Ince of Famous Players-Lasky Corp. (later known as Paramount). It was directed by Lambert Hillyer from an original story and screenplay by J.G. Hawks. 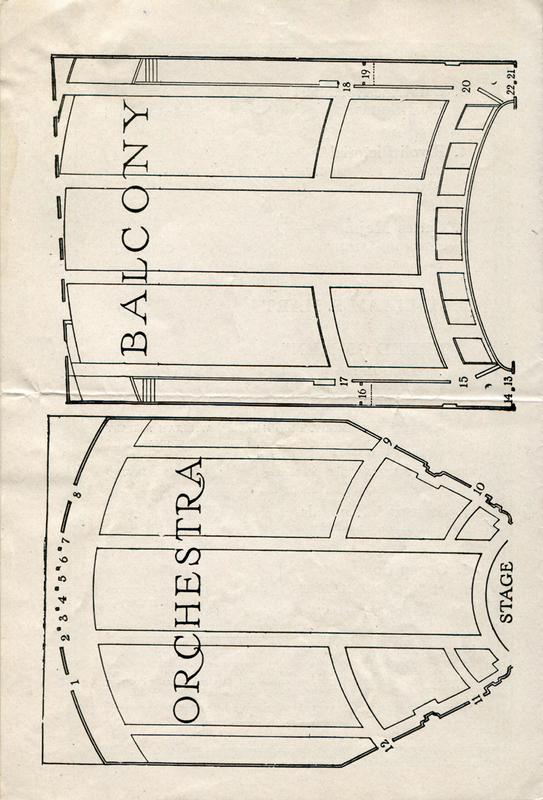 It is reported that a print of the film exists in the Museum of Modern Art Film Archive in New York City. 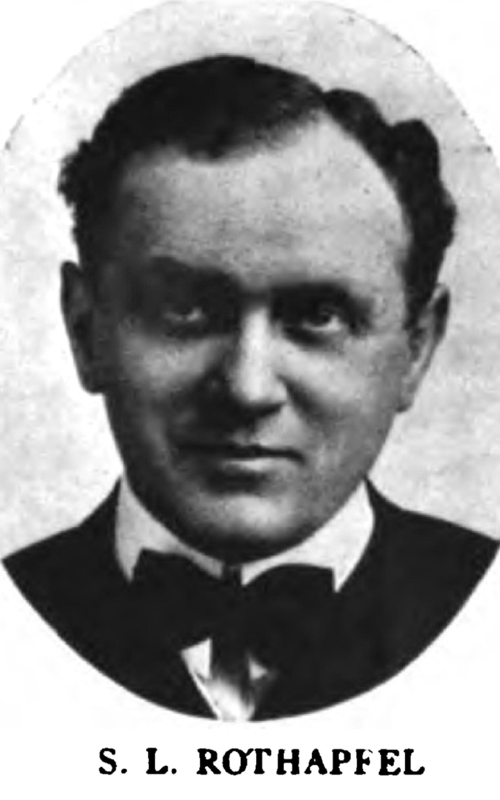 Set and filmed in Chicago, Hart's character is made sheriff under false pretenses and is thought by his love interest (played by Seena Owen) to be in cahoots with the bad guy (played by Bert Sprotte) until Hart's character proves otherwise. Also features Buster Irving as the girl's brother. 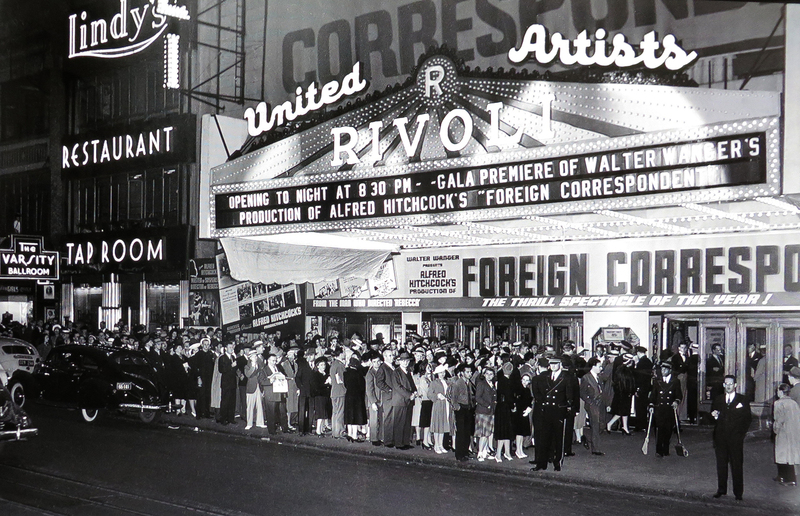 The Rivoli Theatre performance includes, in addition to orchestral and organ numbers and singing, a "lifestyle" short ("Modern Girls," with the latest in women's fashions), a Vitagraph comedy and a newsreel President Woodrow Wilson's review of U.S. troops in France.